This post is from the archives. To hear all about our trip, click here! The secret is out friends: Aaron and I are going on a 15 day trip to Europe this summer! 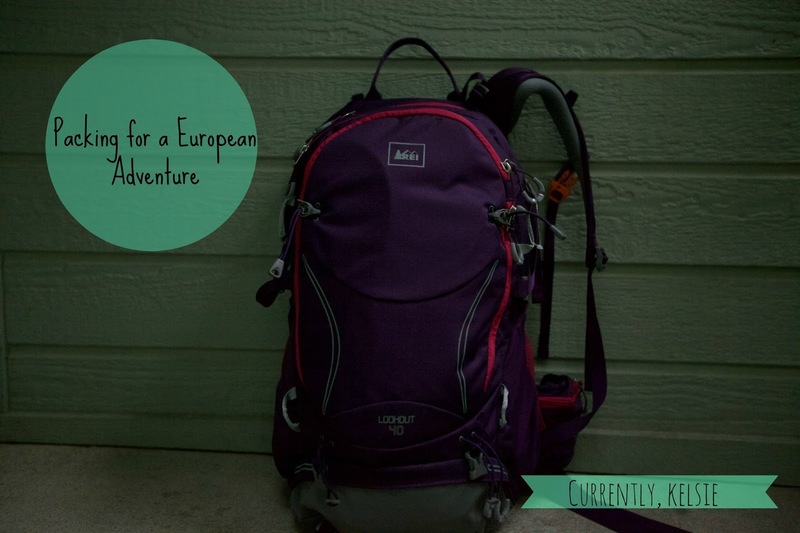 We'll be adventuring through Dublin, London, Paris, Geneva, Venice, Florence, and Rome. We are BEYOND excited, and have been in the planning stages since about March (though I was in the dreaming stages since January....or basically for my whole life). We are kidless, petless, grad class-less, both off for the summer travelers who said "now or never", and we chose now! I couldn't be more thrilled. I'll be turning 26 in Paris. Seriously, someone pinch me. With a trip like this, we are going to be doing our major flights in and out of Dublin and Rome. In between, we'll be connecting the dots with some small EasyJet and RyanAir flights, and then with trains! We'll be spending our nights in anywhere from hostels to 5 star IHG hotels that we got for free (see how we did it here). Since we will be on the move so much, we'll be walking with our stuff quite a bit. Thus, the dilemma of bags and packing. REI Lookout Pack from REI Outlet. After speaking with a few different friends who had done similar trips in the last few years, we decided to go with backpacks. My lovely friend Lauren, who is basically a pro after her 5 week long trip to Europe last year with her hubby, recommended checking out REI Outlet for a bag. She also suggested getting packing cubes. Check out her awesome blog, Sobremesa Stories for other tips and sweet stories! Thanks to her ideas, I found a few great deals on bags and Travelwise travel cubes online. Yep, I'll be fitting everything I need in this bad boy! Like any good traveler, I needed to give this a trial run (or two, or three). I typically am not a super light packer, because we often go on "you get a 50 pound bag for free, so you may as well fill it" kind of trips. But I like a good challenge, and I recognize that I often over pack because I think "I may want options". So, with my competitive blood flowing swiftly through my veins, I decided that for our week long trip to Colorado, I would only be using my REI pack and my Travelwise packing cubes. Aaron wasn't able to get an REI pack, because the men's bag sold out while in my cart (major bummer), but we were able to find him a really great deal on a JanSport bag, also through the REI Outlet site. I figured hey, if I can shove all my t-shirts into the top drawer of our dresser, surely I can shove them into this pack using my cubes, right? Step One. A girl's got needs. And I consider myself fairly low-maintenance. I used three of our five cubes: the smallest, one medium, and one large. Still had two left from the five piece set for Aaron to use. 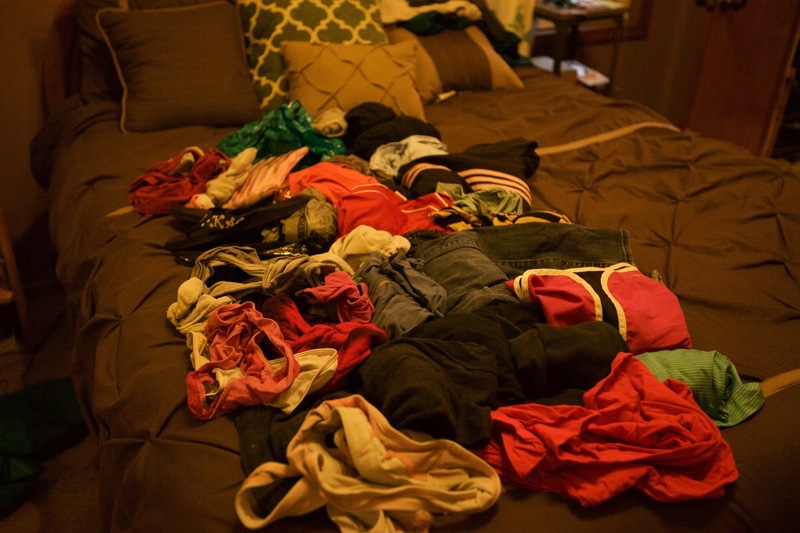 I packed them by type of clothing, and used one for laundry on the way home. Step 2: Into the packing cubes we go. Left out the shoes and makeup bags to shove in crevices. Finally, it's time to put them all into my backpack. Step 3: It took a bit of shoving and sliding around, but everything made it into the bag pretty easily! 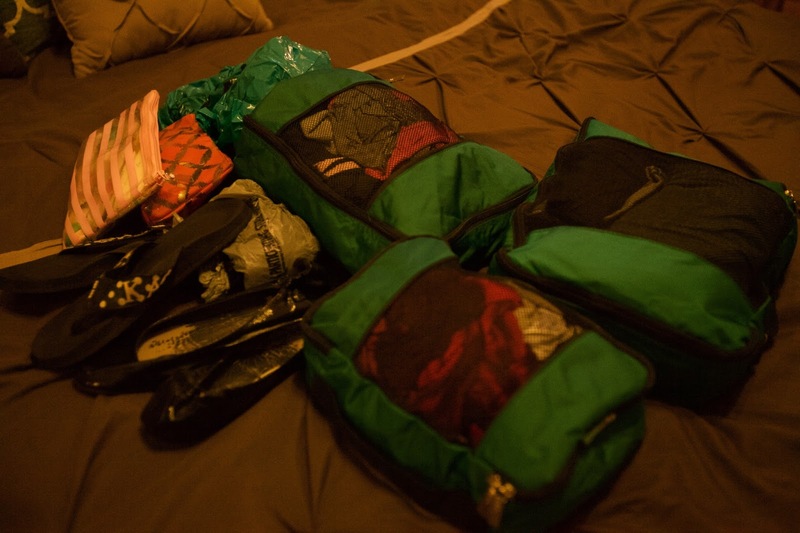 My favorite thing about the packing cubes is that they bring such organization to my bag. Aaron went without packing cubes, and his clothes were thrown all over our room (or maybe that's just because he's a guy?). Mine on the other hand, were taken out and slid right into the dresser drawer. I put shirts together, pants/shorts together, and underwear/socks together, so I knew exactly what was in each of my cubes. I'll seriously use these little guys for every trip I go on, and you can quote me on that! Although I'm super cheap, and don't like spending money on non-necessities, I would argue that these are going to be one of my favorite and most used travel purchases ever. Just roll things up and you wouldn't believe how much you can fit in them. These little guys are going to become my best buds. I'm excited for many travels with them. Bottom line: packing cubes are reasonably priced, and help with organization, compact packing, and ease of packing/unpacking. Since Aaron and I will be checking in to about 8 different hotels during our stay, I'm going to love such stress free packing. No searching through clothes for me this trip. Make the most of your space! Do you have European travel tips to share? Need more packing advice? Let me know on Facebook, or by commenting below. I'd love to hear your suggestions or give you my own! Thanks, friends. May your bags be light and your packing cubes full. You know I'm all about packing cubes! I actually have a very similar post planned for our trip to Colorado in two weeks, so you can bet I'll be spreading that packing cube gospel too ;) I'm glad you loved them and they're being as helpful for y'all as they have been for us! Thanks for the shoutout and for sharing your travel tips with the world! Love your heart for adventure! They're the best! Thanks for reading- excited for all of our adventures ahead! Hey Chantal! Thanks so much :) I'm sure you could make it happen. I'll have plenty of stories to tell, I'm sure. Looking forward to sharing them. Loving the link parties with you- thanks for having me! What an exciting trip!! I am seriously jealous!! 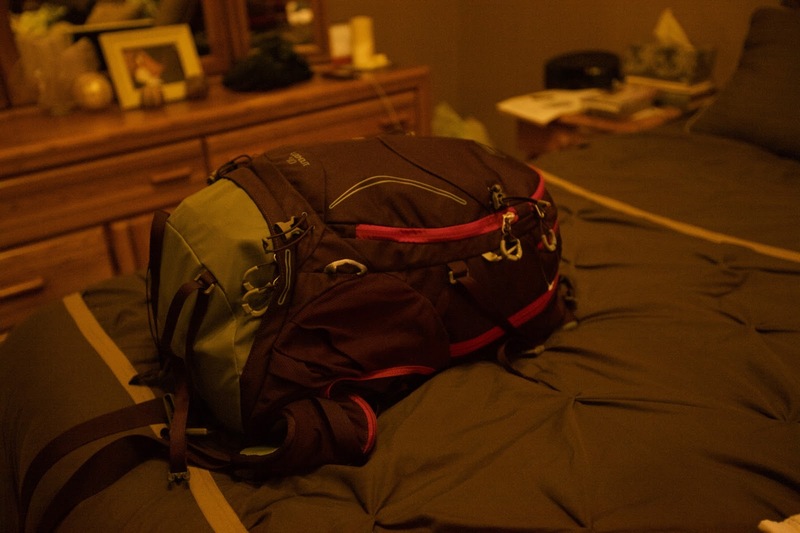 I love the idea of backpacks and packing cubes! 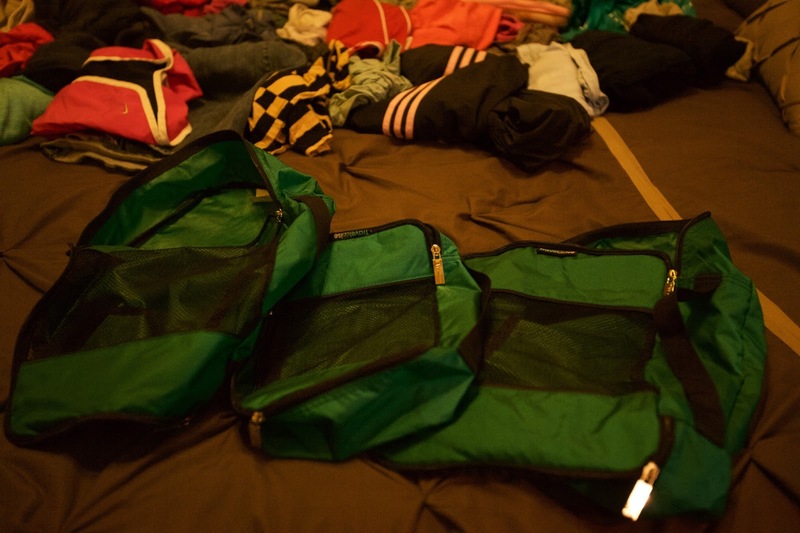 I have not used packing cubes before, but see how helpful they would be in keeping things organized! I look forward to hearing how they work out for you on your amazing trip!! Yes, Julie, they are truly the best! As I near the end of a trip, I usually put all my laundry in one and then move other clothes that I didn't wear to another. I am SO excited for this trip, and can't wait to share lots of pictures, stories, and updates! Thanks for reading and commenting! Oh my goodness! I'm so excited for you guys (& a teensy jealous - I'll be honest)! Europe is AMAZING! I'm super impressed at your packing job (I'm such an overpacker). Thank you so much for linking up with us! Thanks so much! 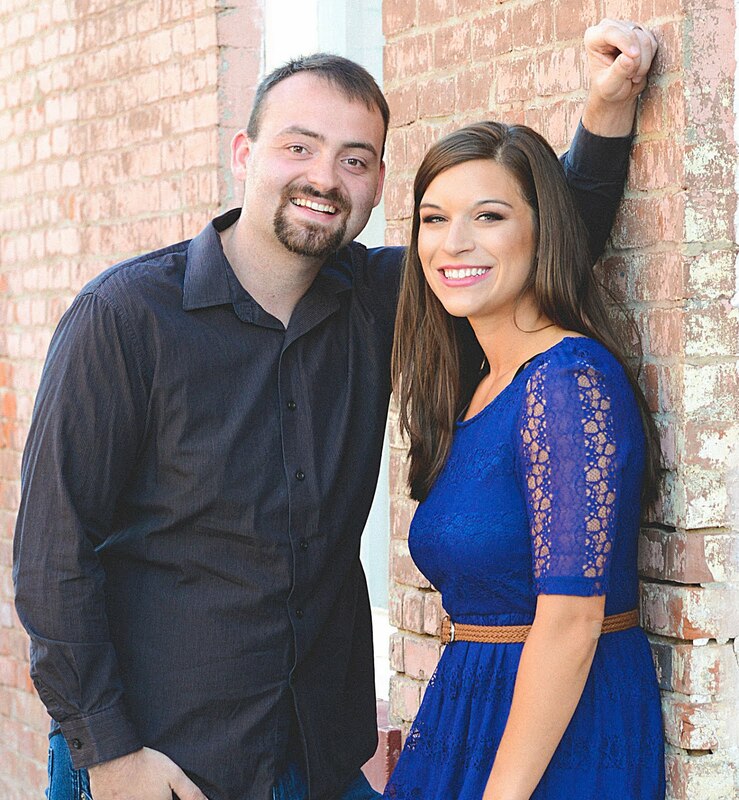 We are beyond excited and can't wait to share pictures and stories! I am an overpacker too..but I'm learning and I think this is going to be the perfect trip to break me from it. Thanks for hosting! Okay, I should have done this for Greece! I packed only a backpack (something I am so happy I did!) but trying to re-pack it at the end with my clothes and somehow squeeze in all the goodies I bought...super not great! Somehow it all fit. I'm still not sure how, but it did. And I made it through customs. ;) Thanks for linking up! I seriously love our community! Ashley- you only commented once, no worries there :) I think that's honestly one of the best parts of packing cubes- not having to worry so much about organization. I'm glad to hear you made it through customs, as I'm a bit worried about how much my bag will have shoved into it :) Thanks for having me, and I am so incredibly thankful for our community! Have a wonderful week!